Looking for something fun to do while in Cincinnati that the whole family can enjoy? Come to US Bank Arena for a Cincinnati Cyclones hockey game! Since 1990, the Cincinnati Cyclones have been playing hockey all over the country and in Canada; they are the AA team of the National Predators. Eighteen of their players have gone on to play for the NHL, which makes our Cyclones a hotbed of talent that’s exciting to watch. And there’s more to a Cyclones game than just hockey; in fact, they pride themselves on being “more than just a game.” With music, promotions and fun half-time activities (think hamster balls and sumo suits! ), a Cyclones game offers something for everyone in the family – at a price that’s surprisingly affordable. Games always have a fun theme, such as Superheroes, Star Wars and Video Games, and promotions include $1 beer night, $1 hot dog night, kids eat free and more. Special fundraising nights are featured as well; The Cure Starts Now Night, raising money for pediatric cancer as well as breast cancer awareness nights mix philanthropy and fun. The atmosphere at a Cyclones game is always charged up with excitement and exuberance. In November, you can take advantage of a “Kids Eat Free” night on the 6th; any 2-12 year-old can enjoy an entrée, side item and beverage, on the house! The Cure Starts Now is on November 7, and on the 13th it’s Teddy Bear Toss Night – bring a bear to toss on the ice when the Cyclones score their first goal! Superhero Night is November 21st, and $1 Beer can be had on the 25th at the Thanksgiving Eve game. Fun ticket packages are available; a family of four can come get their hockey on for just $72, which includes four tickets and four t-shirts. 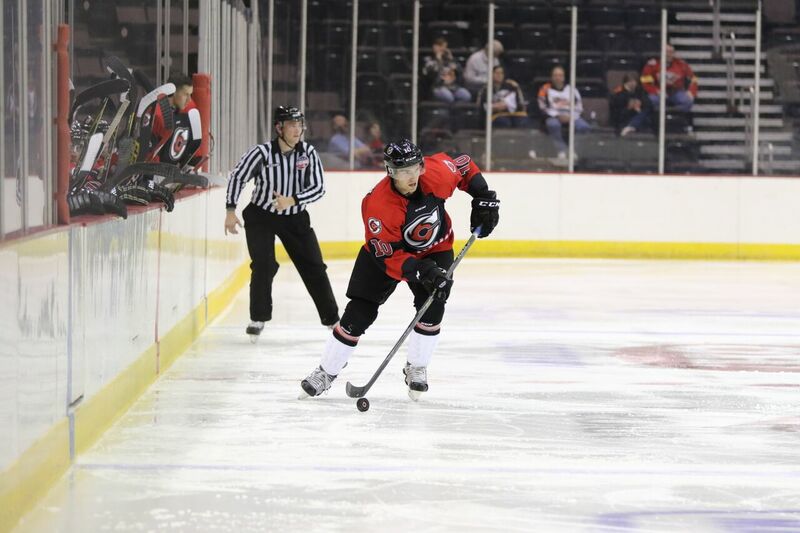 When you want more than just a sports experience on a night out – when you’re looking for sports, fun, music, food and an atmosphere of excitement – come to a Cincinnati Cyclones game at the US Bank Arena.